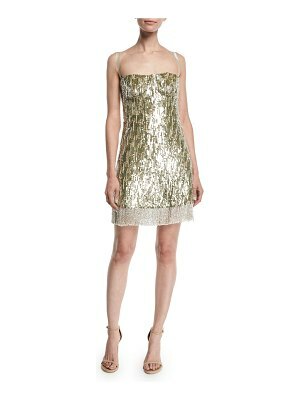 This Herve Leger mini dress makes a bold statement with its striking foil finish. 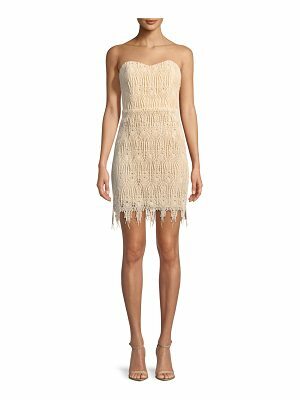 Fringe overlays accent the bodice and skirt. Hidden back zip. Unlined. Fabric: Ribbed, mid weight jersey. 90% rayon/9% nylon/1% spandex. Follow attached care instructions for best results. Imported, China. Measurements Length: 35in / 89cm, from shoulder Measurements from size S.